As part of the continued growth and development of academic activities and relationships of Soran University Dr Muslih Mustafa, President of Soran University, and Dr John Hitt, President of the University of Central Florida, signed a contract on the 5th February 2015, to open a Kurdology Department in the University of Central Florida, Orlando. The department will provide Bachelor, Master and Doctorate degrees. This is the first time that a Kurdish University and an American University have dedicated an exclusive academic department for Kurdish language, history, civilization, and culture. This department will be the first scientific source focussing on Kurdish research in the United States of America and is regarded as a landmark in the history of universities and academia in both Kurdistan and the USA. The delegation from Soran University was led by their president , Dr Muslih Mustafa andconsisted of Dr Nahro Zagros, Vice President for Scientific Affairs, Dr Kamal Odisho, Dean of the Scientific Research Centre and Dr Tyler Fisher, Representative of Soran University Foreign Relationships. 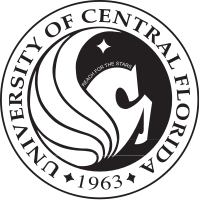 The University of Central Florida delegation consisted of Mr John Bersia, Head of the Academic and Strategic Relationships of the UCF.